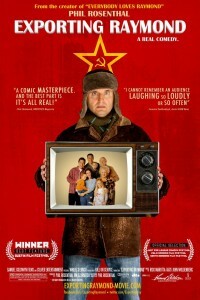 Phil Rosenthal’s Comic Feature Documentary ‘Exporting Raymond’ Debuts Feb. 16 On HBO!!! 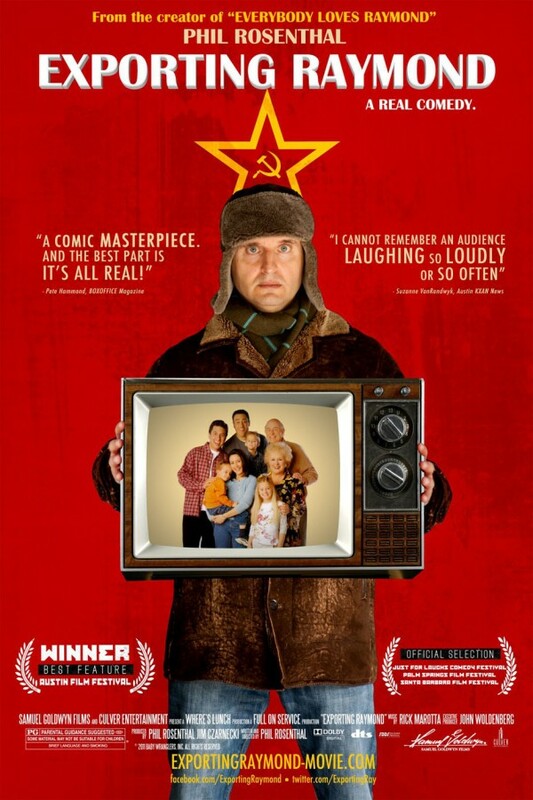 The comic feature-length documentary EXPORTING RAYMOND, the story of how “Everybody Loves Raymond” creator Phil Rosenthal attempted to adapt his Emmy®-winning series for Russian TV, debuts THURSDAY, FEB. 16 (8:00-9:30 p.m. ET/PT), exclusively on HBO. When Phil Rosenthal was asked to help adapt “Everybody Loves Raymond” for Russian TV, he made eye-opening discoveries about the country’s viewers and their similarities to (and differences from) U.S. audiences. EXPORTING RAYMOND recounts his often-hilarious 2009 trip to Russia, chronicling the casting process, the shooting of the show and meetings between Rosenthal and his Russian counterparts. The documentary shows how the Russian production comes with its own pitfalls and tests, which end up being similar to American production challenges. In addition to making friends, Rosenthal and the Russian creators and executives eventually come to understand each other’s motivations, desires and reasons for their creative choices, despite the obvious culture and language barriers. The documentary won a 2010 Austin Film Festival Audience Award (Out of Competition Feature) and in 2011 received the Sedona Film Festival Best Comedy Feature Award and the EDINDOCS (Edinburgh) Audience Award. Phil Rosenthal was the creator of the hit comedy series “Everybody Loves Raymond,” starring Ray Romano, which ran for nine seasons and received 15 Emmy® Awards, including Best Comedy Series in 2003 and 2005. In addition, Rosenthal has the distinction of having directed President Bill Clinton in the White House Correspondents’ Association Dinner video, which was shown to wide acclaim at the April 2000 event. EXPORTING RAYMOND is a Where’s Lunch and Full On Service production; written and directed by Phil Rosenthal; executive producer, John Woldenberg; produced by Phil Rosenthal and Jim Czarnecki. This entry was posted on Monday, January 23rd, 2012 at 3:45 pm	and is filed under News. You can follow any responses to this entry through the RSS 2.0 feed. You can skip to the end and leave a response. Pinging is currently not allowed. « Geek Deal of the Day!!! The Ultimate ‘Matrix’ Blu-Ray Box Set!!! 61% Off!!! Only $25.49!! !